I’ve come to the conclusion that all kids are picky eaters in some way. Little Pea may go to town on momos at the Tibetan restaurant and devour the candlenut curry we share from the Indonesian food truck, but put a potato in front of her? She won’t touch it. Pasta with tomato sauce. Acceptable! Pasta with pesto? Nope, nope, nope. One source of iron that’s always a winner for us? Beans and lentils. So I’ve been trying to up Little Pea’s intake of all things legume. Because straight up beans for every meal would get a bit boring, I started keeping these lentil meatballs on hand in the freezer for adding to pasta dinners or even just popping in Pea’s bento box lunches. Hey hey, it’s been a while! I dropped the ball with this blog after I started a new job managing all the behind-the-scenes stuff at Hello Glow. I went from working part-time with my previous job, with various freelancing things to fill out my schedule, to working full-time again and it’s been an adjustment. A good adjustment, but an adjustment nonetheless. But a strange thing happened: in the past 3 months, this little blog started to get more traffic. And I even started making affiliate revenue! I had been kind of discouraged because I wasn’t sure if there was really an audience for this site, but hey—maybe there is? I have a love-hate relationship with cooking. I love it because for years, it’s been a hobby of mine, and then it became a career. It’s brought me a lot of good things! But I hate it because: time. Or, rather, a lack of it. When you have a toddler, you can’t exactly spend a leisurely morning making waffles. I’ve learned that when I do have time to cook—mostly on the weekends—I need to prep as many meals as I possibly can to make weekdays easier. 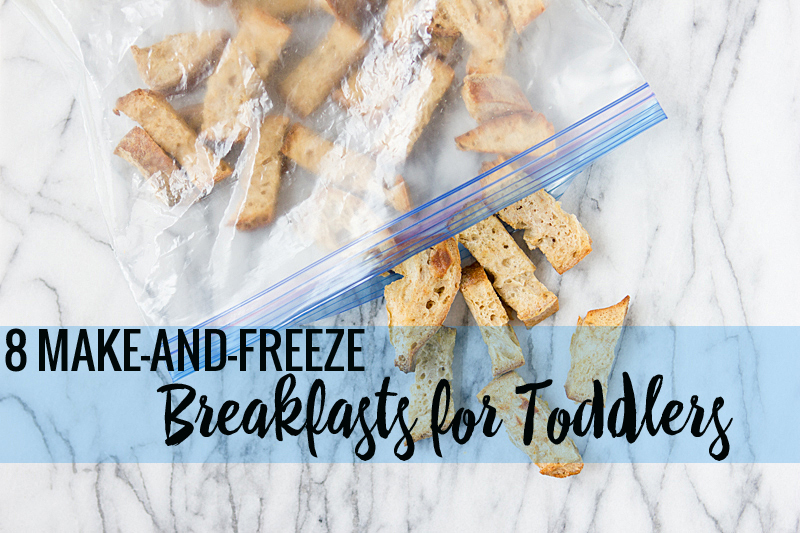 And make-and-freeze breakfasts are the perfect place to start because mornings are the most chaotic time of the day. The problem with freezer meals is that some things just don’t freeze well. Who wants to waste all that time preparing something to freeze and have it end up being inedible? So you have my personal guarantee that these breakfasts are freezer-friendly because I’ve made every single one of them—and most, I’ve made multiple times. I’m not a fan of freezing traditional oatmeal—I know a lot of people do it, but I’ve found that to get a creamy texture upon reheating, I have to add a lot of liquid, and adding all that liquid dilutes the flavor. Boo. 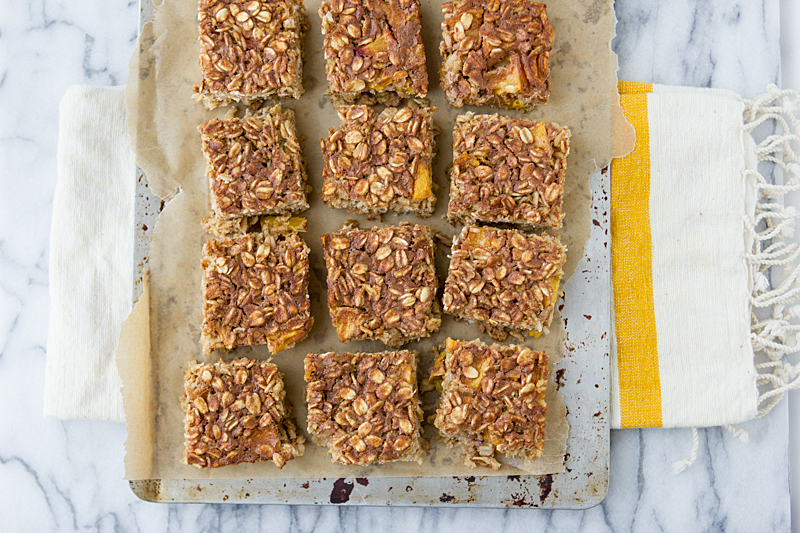 This is the perfect solution: oatmeal in squares. It’s like oatmeal meets cake meets bread pudding and it’s a favorite in our house. 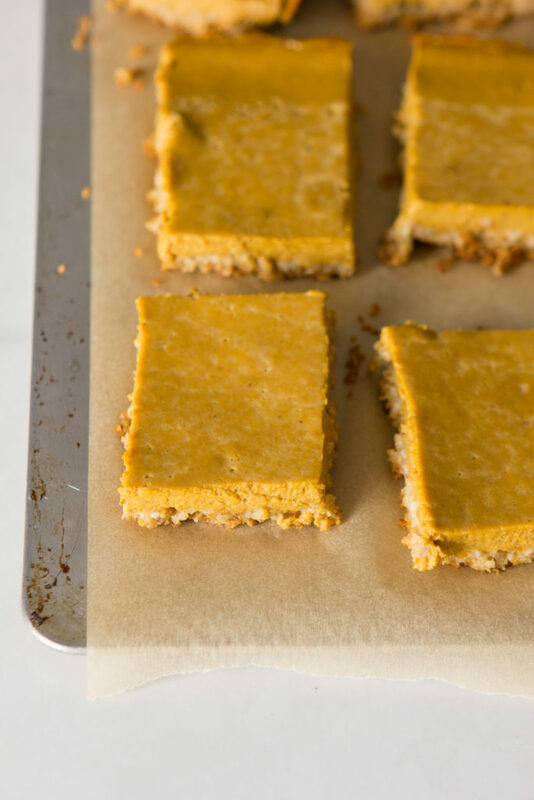 These are simple to make and I love that they incorporate almond butter for a protein boost. I don’t know what it is about these things, but Sweet Pea can’t get enough of them. 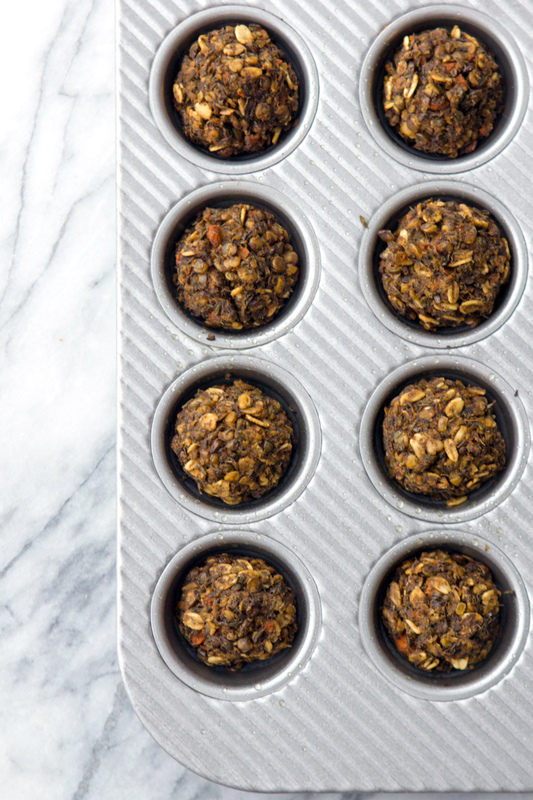 I’ve made several batches—they freeze beautifully and they work well in lunchboxes too.